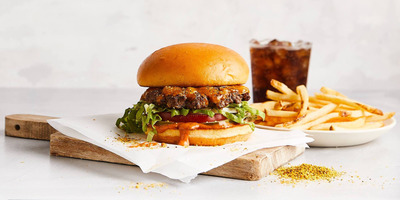 Creator, a Silicon Valley startup backed by GV (Google Ventures), is finally opening its long-awaited burger restaurant in San Francisco on June 27. A robot in the center of the restaurant uses an array of sensors and computerised kitchen equipment to make up to 130 burgers an hour. The company’s founder once said his invention was “meant to completely obviate” fast-food workers. Now he’s changing his tune. A new kind of burger joint is coming to San Francisco. Creator, formerly known as Momentum Machines, will serve a $US6 burger that is prepped, cooked, and assembled with no human help. 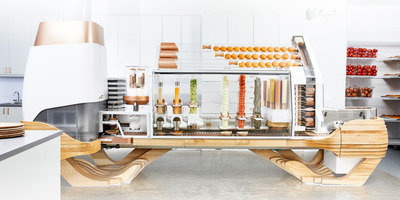 A 14-foot robot in the center of the restaurant uses an array of sensors and computers to crank out 130 burgers an hour. The company is offering early-access tickets to see the machine in action before the restaurant’s opening in September, but they’re already sold out through July. While San Franciscans have been warming to the idea of a restaurant experience with minimal human interaction, as at establishments like Eatsa and Cafe X, not everyone will be on board with Creator’s burger-bot, which takes automation to the next level. 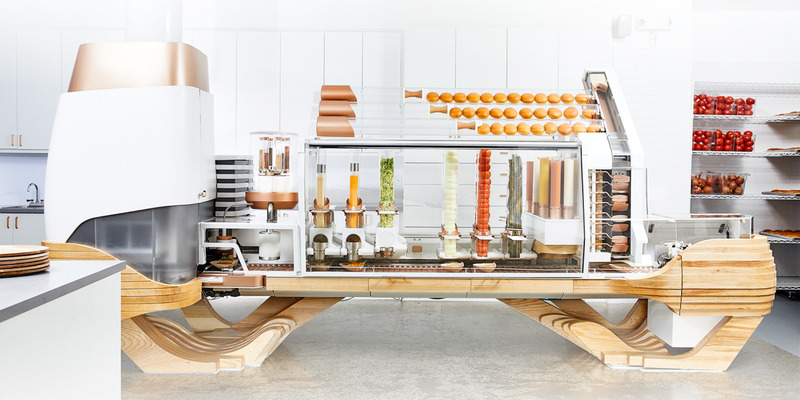 The robot makes each burger to order: grinding pasture-raised chuck and brisket into a patty, slicing and dicing the fixings, grating cheese, and cooking the burger. It eliminates the need for line cooks, though as many as nine “robot attendants” will be on the floor to take orders, deliver burgers and drinks, and restock the robot’s ingredients. But they shouldn’t be needed as much as traditional waitstaff. So Creator will pay employees $US16 an hour ($US2 over minimum wage in San Francisco) to work and spend 5% of their shift reading educational books of their choice. The company is planning to offer a book-shopping budget and free Coursera classes, TechCrunch and Forbes reported. In a 2012 interview, Creator founder Alexandros Vardakostas said his company’s invention could save a fast-food joint up to $US90,000 a year in training, wages, and overhead costs. Now, in 2018, Vardakostas has hedged his vision. There will also be opportunities for front-of-house staff to advance into positions where they perform maintenance and repairs on the robot, which are higher paying roles. For now, though, the burger-bot can’t do its job without the help of its human coworkers. Creator will open for lunch on Wednesdays and Thursdays starting June 27.